A new ruling by a High Court judge – the first on the issue in nearly a decade – says that Christians have no right to decline working on Sunday as it is not a “core component” of their beliefs. The judgment – which upholds an earlier decision – means that individual Christians do not have any protection from being fired for not working on Sundays. Celestina Mba claimed the council she worked for pressured her to work on Sundays and threatened her with disciplinary measures – even though other workers were willing to take the shifts. The 57 year-old, from Streatham Vale, south London, worships every Sunday at her Baptist church, where she is also part of the ministry team offering pastoral care and support to the congregation. Gay and lesbian rights activists are seeking to be the new “moral enforcers” and it is Christian religious conservatives who now need protection to be allowed to dissent against “the new orthodoxy”, it was claimed. Paul Diamond, for the charity, told appeal judges that at the heart of the case was the “ironical” situation in modern British society where ancient Biblical scriptures, which played an important role in forming the nation’s morals and legal system, were now in danger of containing views which could no longer be expressed “in a land with a reputation for free speech”. The charity accuses the Mayor of London Boris Johnson of unlawfully using his position as chairman of Transport for London (TfL) to obtain the ban in order to secure the gay vote and advance his 2012 re-election campaign. Mr Johnson said the advertisement was “offensive to gays” and could lead to retaliation against the Christian community. Mr Diamond is appealing that an “email trail” not disclosed by the mayor’s office at the High Court, and discovered later following a freedom of information request, supported its claim over Mr Johnson’s role in banning the advertisement. The trust says its works with gay people seeking to change their lifestyles, but rejects the idea of offering a gay cure. It is asking the appeal judges to uphold its right to freedom of expression under Article 10 of the European Convention on Human Rights, which it says has been violated by the ban. It is also relying on Article 9, which protects the right to freedom of thought, conscience and religion. Mrs Justice Lang ruled TfL’s decision-making process “fell below the standards to be expected of a responsible public body,” but the trust’s Article 10 rights were outweighed by the rights of gays to respect for their private and family life under article 8(1). She said TfL was legally justified in imposing the prohibition because the advertisement would cause “grave offence” to gays and “increase the risk of prejudice and homophobic attacks”. Next: BREAKING>> 450,000 Christians Flee From Islamic Extremist Attacks in Africa – Obama is silent on the slaughter of Africans. Why? It’s ironic when you hear of court decisions like this, which force people to work on a Sunday contrary to their religious beliefs, in a culture and society that speaks about freedom and democratic rights. 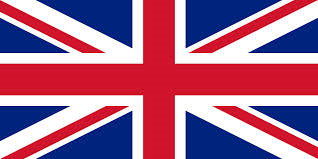 The irony takes on a surreal element when one looks to the very national flag of the UK, which is a composite collection of Christian symbols. The irony is then magnified by the fact, that Christianity formed the very backbone of Britain’s culture, history, values and its judicial system. I suspect that if St George, St Andrew and St Patrick were living today, I think they would have an objection to the British using their symbols as their national emblem and flag which confessed their faith in Christ.